The Niagara region is known for its mighty Niagara Falls, which captivate millions of people each year. But Niagara has many more secluded gems, which are equally as spectacular in their own way. Max capacity on this tour is 12 people: Register Now. Our guide for the day is Ted Talk speaker, young adventurer, and nature documentary maker Owen Bjorgan, whose knowledge and love of the outdoors will make this tour special. 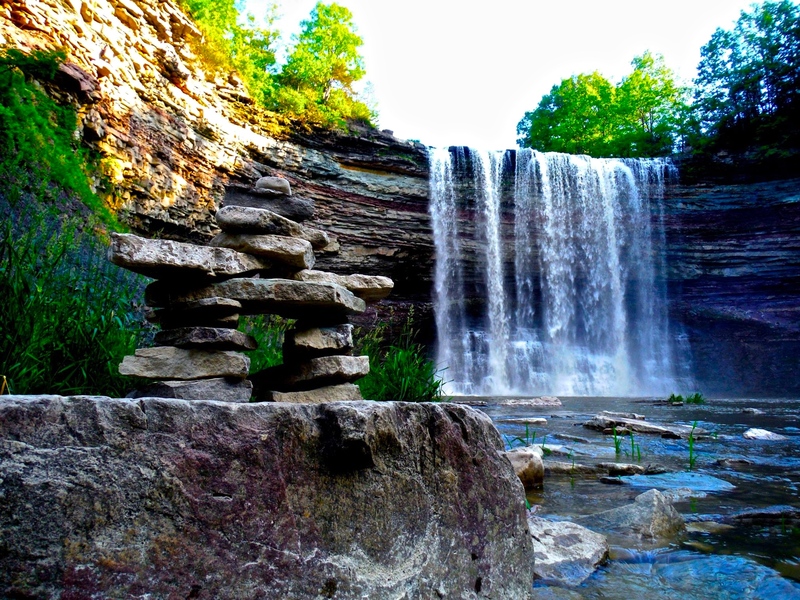 We’ll visit 2 of the best hidden waterfalls in Niagara, going through some particularly deep forests that are rarely visited by others at this time of year. We’ll meet in the area at 9:30am (use your own vehicle or we can arrange some carpooling). From our meeting spot (details will be sent to registrants), we’ll make our first trek to the canyon and valleys around Rockaway Falls, with some of the most sheer cliffs in Niagara. We’ll descend down the 420 million year-old rocks of the Niagara Escarpment and enter the floodplain of 15 Mile Creek. From there, we’ll follow a trail upstream up to the base of the Rockway Falls. Great opportunities for photos! Approx 2 hour return hike, moderate difficulty with steep/slippery sections. Our lunch stop will be in a local family restaurant-pub (informal, diverse menu with vegetarian options) in Jordan Hollow. The cozy, homey atmosphere is perfect for hikers – and our next hiking trail starts right from the pub. 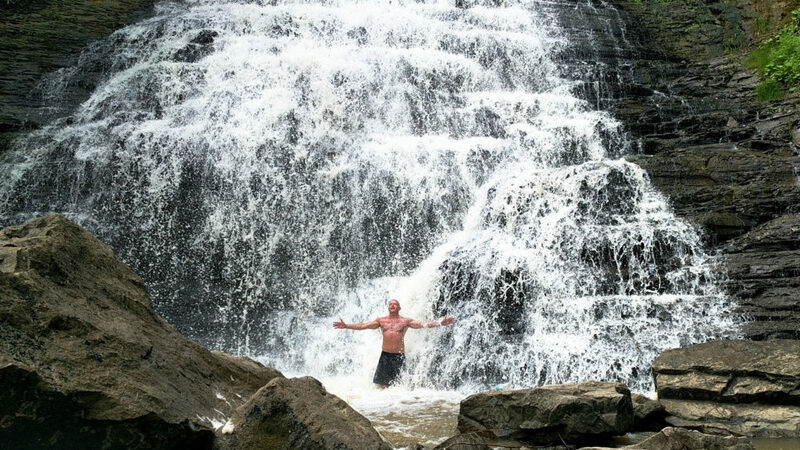 After lunch, we’ll take the adventurous route, following the famous Bruce Trail up Twenty Mile Creek to Ball’s Falls. Enjoy the fun challenge of “rock hopping” if water levels are suitable. Huge boulders and hemlock trees dominate the landscape, and the area contains many microhabitats for wildlife. A moderate 2.5 hour hike with some rocky sections and a couple of big ascents. The tour will last approximately 7 hours. The cost is only $40 (a portion will be donated to the Biophilic World charity) plus the cost of your lunch. While this is planned as a single-day outing, some people may wish to stay in the Niagara area overnight and return on Sunday. Prices on weekends tend to be higher, but there are still some good deals to be had (check out TravelZoo for package offers and deals). 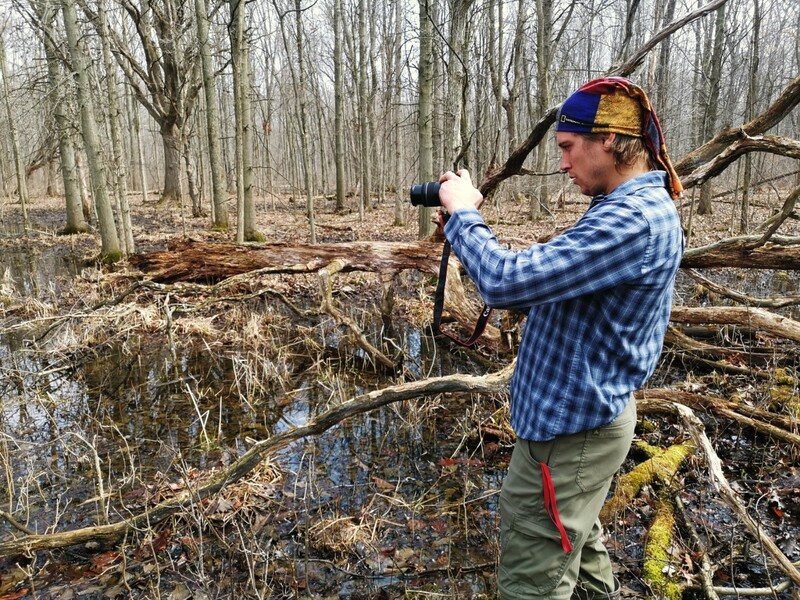 Owen Bjorgan, a Niagara on the Lake local, acquired his BSc in Biodiversity from the University of Guelph. His adventures in Niagara pushed him as far as the Amazon and the Everglades to show people the powers of exploring natural areas and how important nature is for both wildlife and society alike. Bjorgan operates a non-profit wing called “Biophilic World”, where he uses environmental projects to raise awareness and funds about conservation. He is an official Ted Talk speaker, has released three independent nature documentaries called “Hidden Corners”, and solo hiked the 885 km Bruce Trail raising over $27,000 for charity. Owen is also a firm believer in the power of conservation and doing things local, so his guided tours are eco-friendly and support small-scale wineries and breweries of Niagara.